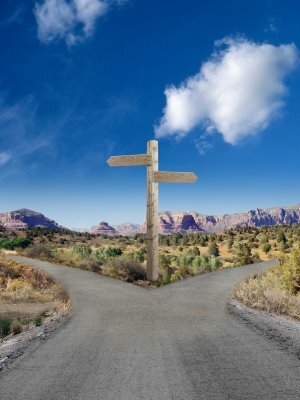 It’s an all-important crossroads that presents only two extreme alternatives: indomitable success or absolute failure. Great honor can be derived from “doing.” It requires one to grab the reigns of their situation and relentlessly pursue the matter. To “die” means taking the less honorable route and conceding victory, often without a fight. It’s a mutually exclusive urging, leaving no option to stand in the middle. Between the two, a decision must be made. I believe that this is where a lot of us find ourselves spiritually. I’ve heard my pastor often say that most of what God will ask of us is counterintuitive to what the world considers “right” or “normal.” I’ve found this to be true. The world champions the self-reliant “do” option and, in order to comply, we often shoulder this burden. But in God’s eyes, success is a team effort. Dying [to self] is always > doing. On our own, we are prone to failure. If we weren’t, we would never realize the gravity of our need for Him. He is a one of a kind God who can do anything, with only one exception: He is unable to fail. On His team, we are capable of the same. Choosing to “die” is not rejecting victory. It’s realizing our need for Him and choosing to exchange our own individual will for His. No more searching feverishly within for answers…no more worrying…no more fear. When God is in charge, none of the aforementioned have a place. “Dying” means wanting His will more than anything in this world, especially your own. When we choose this unpopular option, He will gladly pick up the other and make unparalleled moves in our lives. My decision is made: God, You do…I die.